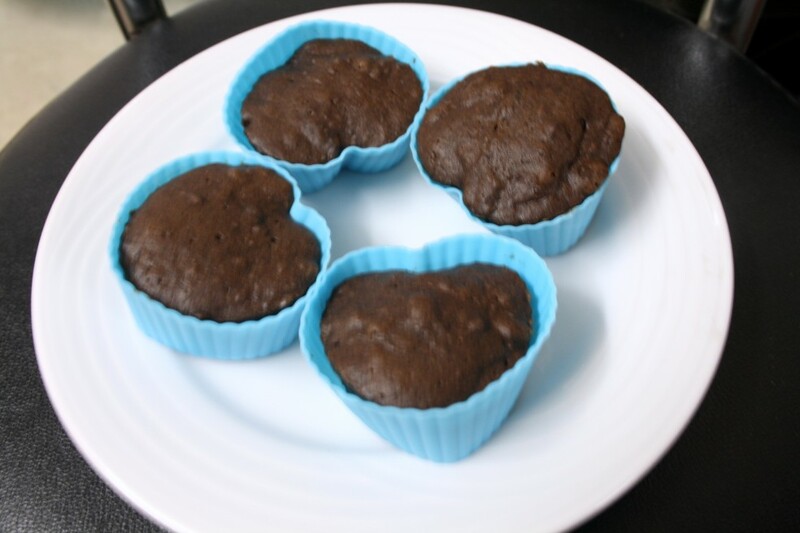 Eggless Microwave Chocolate Muffin all in 2 Minutes! As I said yesterday I wasn’t really sure if I will be able to make the rest of the two day posts. However after reading Pradnya’s comment that she was sure I would be able to make it, I wasn’t about to let her down. So even though these were not what I had originally planned for these two days, I ended what was easy for me, in terms of both cooking and getting disappeared. 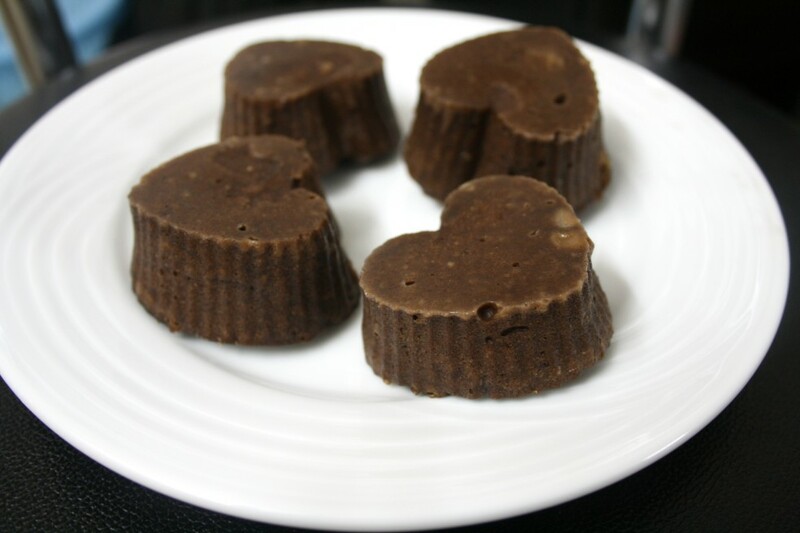 Microwave Chocolate based dishes. These two recipes were adapted from what I recently saw in NDTV came as life savers. I didn’t even bother to check if I had the same measurement already. Microwave cooking ensures you have your goods in as short as 2 mins. When you are making muffins, make sure you add more liquid in terms of milk and cook for just about a minute or two. It’s all its needed for the cake to get done. We are leaving on our Annual visit to my sil’s place and I wanted to make sure I do these two posts. I had even procrastinated the biscuits I normally make. Ever year it’s something new that I make. However this year it again was based on the Butter Biscuits that I had already done. Now coming back to the muffins, here you go. I didn’t even notice that these muffins didn’t call for cocoa powder, I simply assumed and went ahead as Chinnu won’t even touch if it was otherwise. Mix the flour, baking powder, melted butter and sugar. Add the milk, vinegar, vanilla and mix. Beat the batter smooth. Transfer onto the muffin moulds. Microwave for 2 minutes. Check and bake 1 minute. Let stand for 5 minutes then take out of the oven. I used Microwavable Silicone muffins, which was so easy to handle. Amma got these from UK so I was happy finally using what she got for me. This is wonderful Valli. Bookmarked. The silicone muffin pan I have is big for my microwave and so I will try with a small pan. Love your heart shaped muffin moulds Valli, Super tempting,delicious muffins. 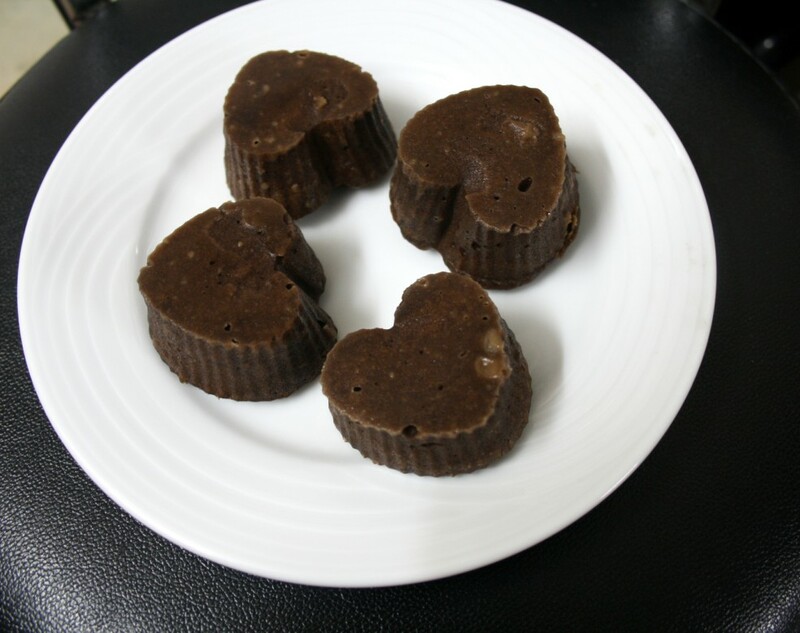 Another super quick and easy microwave chocolate recipe. Thanks for sharing. Delicious muffins.. Love the cute muffin moulds.. I am falling in love with these super cute and super fast muffins!! bookmarkin it!! What if baking them after microwave not possible?? Anon There is no other baking required after baking it in Microwave mode, not sure what you are referring to. Hi, nice recipe, but I had a doubt "turn around again", do you mean turning it upside down. Please clarify. Thanks! Akansha Sorry I guess I made a typo, I have updated. I simply meant, check if it's done and mw again. Rathri Yes tsp is teaspoon. Can you tell me how much muffins it ll make?? Im confused..
Rathri You will get around 8 regular sized ones, more if you are using mini moulds..
Anon All purpose flour is maida. Plain flour is maida or all purpose flour. Vanilla essence is just few drops. Onion Podi Dosa, Karam Dosa ~ 101 Dosa Varieties!